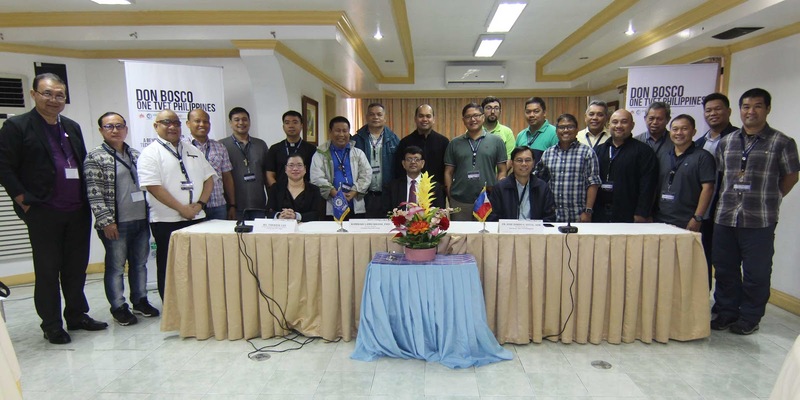 The Don Bosco Philippines-One TVET System, a network of technical schools that mostly benefit marginalized, out-of-school youths in the Philippines, sent 20 of their Directors to CPSC's headquarters in Manila, Philippines for a two-day training on Enhancement of TVET Leadership and Management on July 18-19, 2018. The program was realized for the benefit of the participating technical schools to manage a "change capable culture" that enhances their ability to sustainably adapt to the changing landscapes of TVET education. The following topics were tackled during the training: (1) Educational Transformation through Leadership in TVET Institutions; (2) Leadership through Effective Communication and Communication Strategies in a Diverse Workplace Environment; (3) Managing Change and Improving Adaptability Through Organizational Development in the 21st Century; (4) Managing Employees from different Generations and Developing Employees to Become Future Leaders; (5) How the Leadership and Management Dynamics Contribute to TVET Institutions’ Effectiveness and (6) Excellence of Leadership for Change Management through PDCA Cycle in TVET Institutes. The program was facilitated by Ms. Therese Tan-Lee, CPSC Faculty Specialist as Program Coordinator. Dr. Romulita C. Alto, former CPSC Faculty Consultant, delivered a paper presentation and contributed to the learning experience of the participants. The program was under the helm of the CPSC Director General, Dr. Ramhari Lamichhane who managed and oversee overall facilitation and success of the course as Program Supervisor. Dr. Lamichhane, mentioned the fruitful partnership of CPSC and Don Bosco through the years in his opening program speech. In several notable instances through the years, CPSC has previously tapped Don Bosco as the model institution for study visits of officials, teachers and administrators from CPSC member countries and it is truly appreciative of the benefits brought by these visits. He hopes that CPSC imparts the excellence in leadership and management to the participants despite the short duration. Meanwhile, the Executive Director of the Don Bosco One-TVET Philippines, Fr. Jose Dindo S. Vitug SDB cited CPSC’s commitment towards facilitating TVET development through the enhancement of soft skills, and mentioned Don Bosco’s need to further enhance the capacity of their personnel to fully execute their mission to their target beneficiaries. During the closing ceremony, the organization of the program was also hailed by the participants as a significant milestone especially that they are managing TVET schools all over the country. They expressed their appreciation to CPSC for organizing such program despite the challenges with the time and hopes to participate in similar opportunities in the future. Left photo: Ms. Therese Lee (left, standing) during the interaction and lecture with the participants.